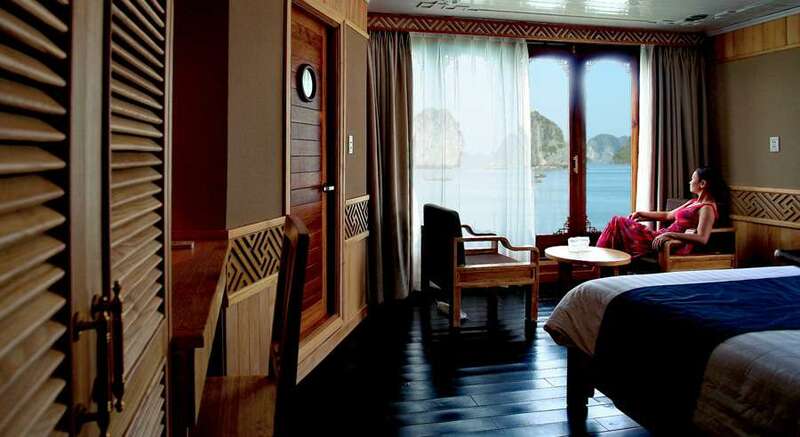 We have stayed at 4 and 5 star hotels in Vietnam but still were astounded at the majesty and regalia of the ship. 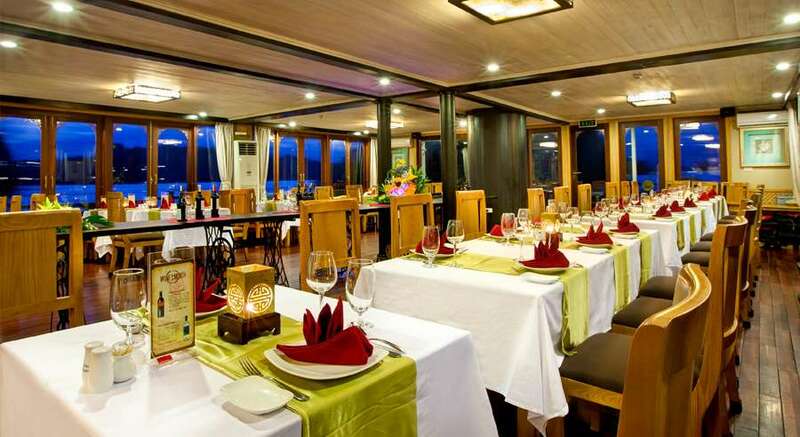 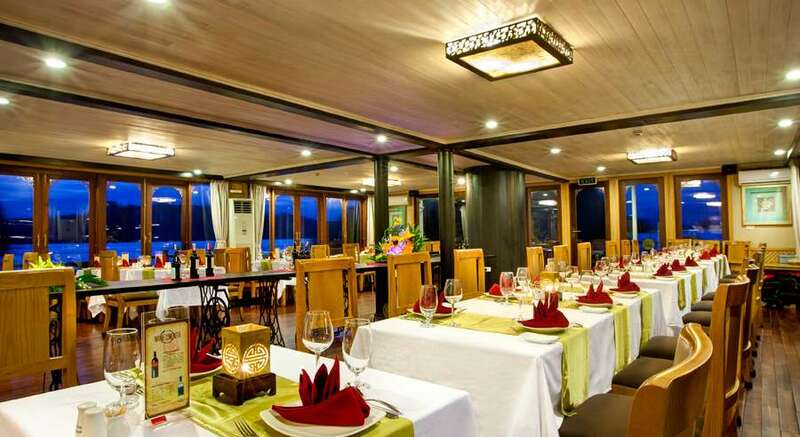 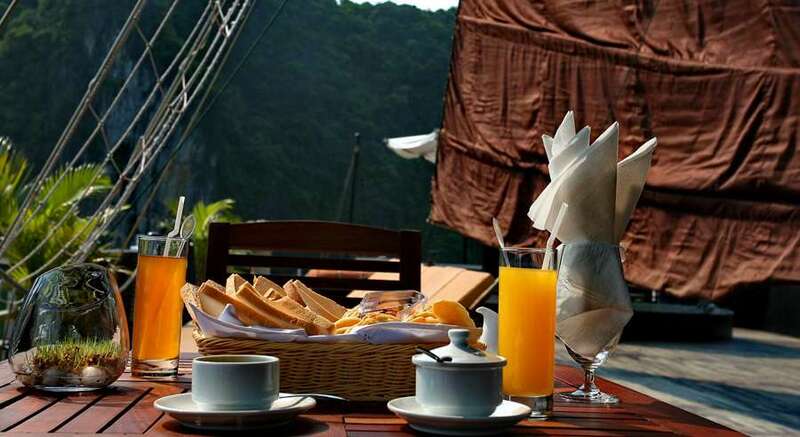 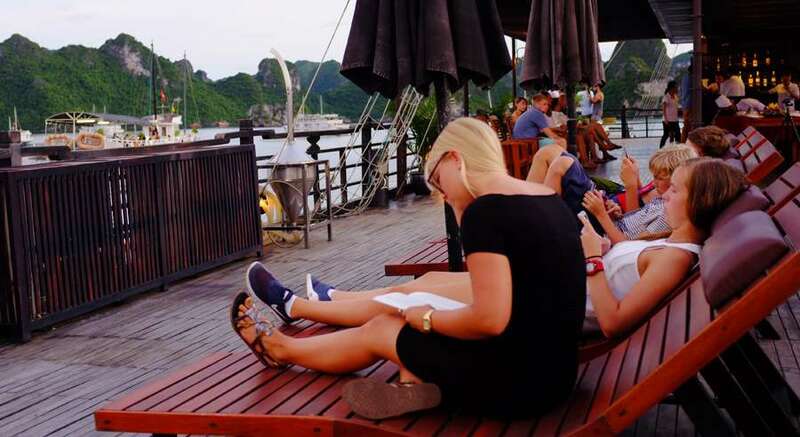 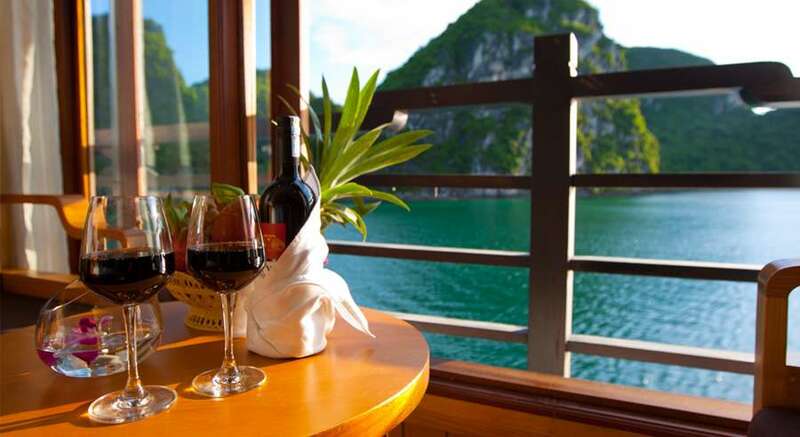 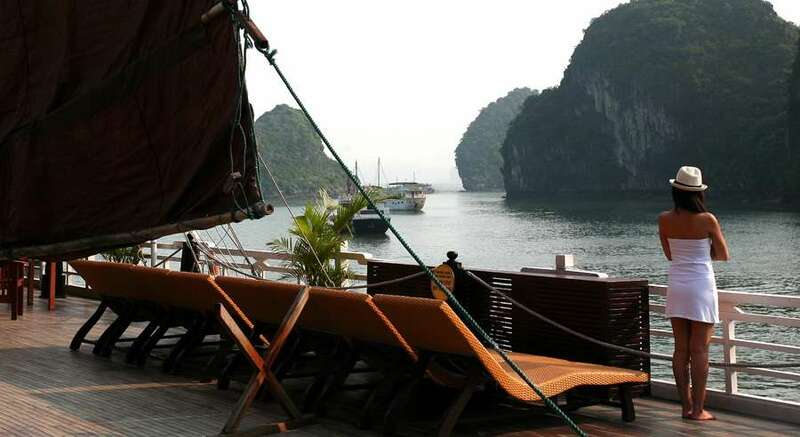 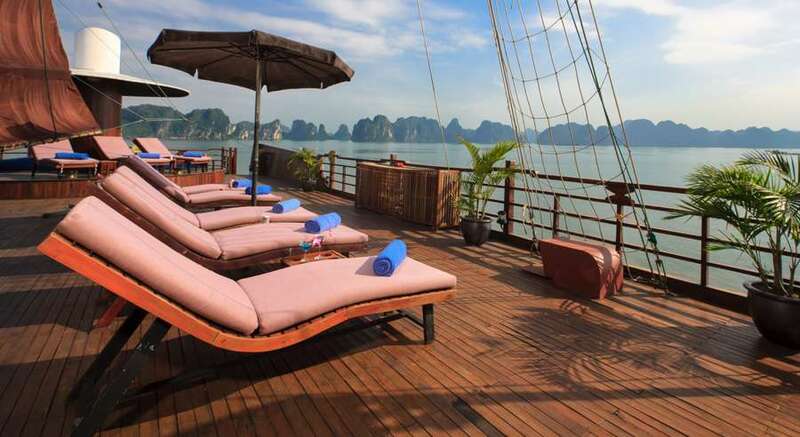 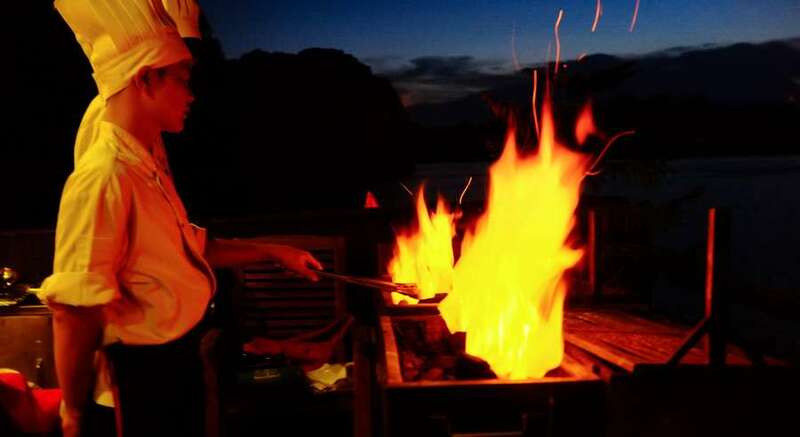 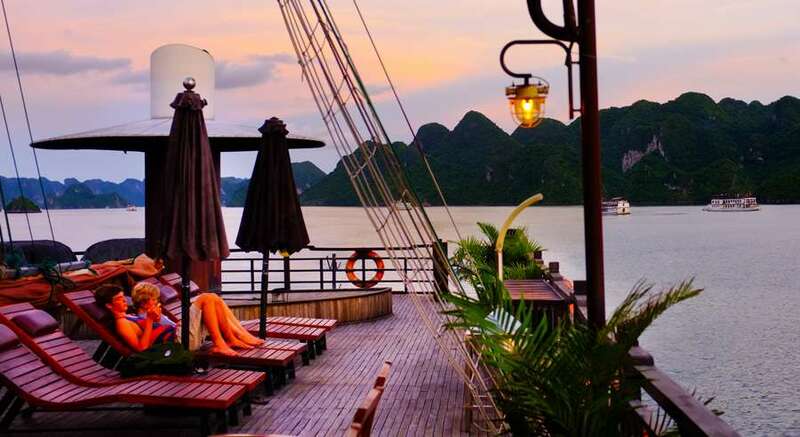 Offering luxury and unique services, Pelican Cruise is one of the finest charter cruises in Halong Bay. 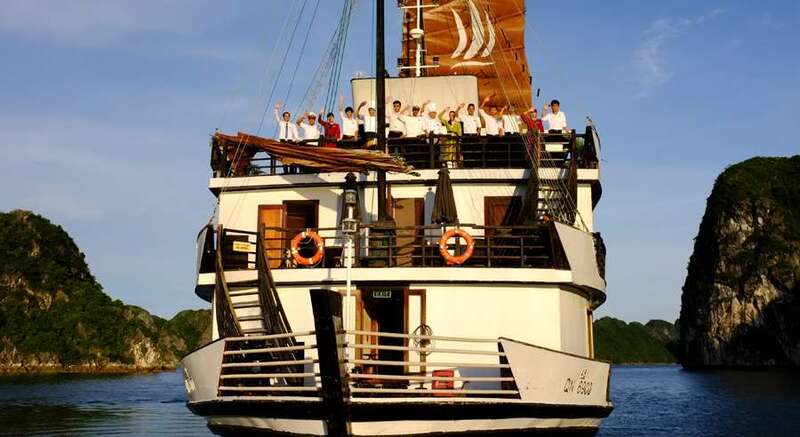 If you are planning for any special events such as customer’s birthday, wedding anniversary, engagement, or M.I.C.E events, Pelican Cruise is worth every of your consideration. 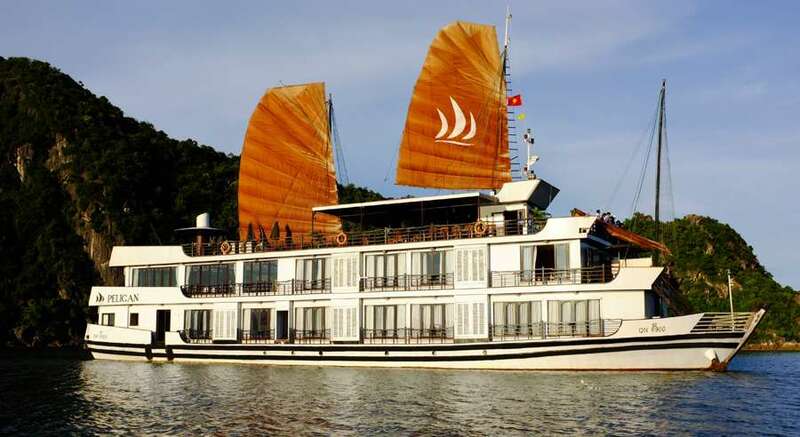 The first Pelican Cruise was launched in 2012 and soon followed by the second and the third Pelican by the end of 2013. 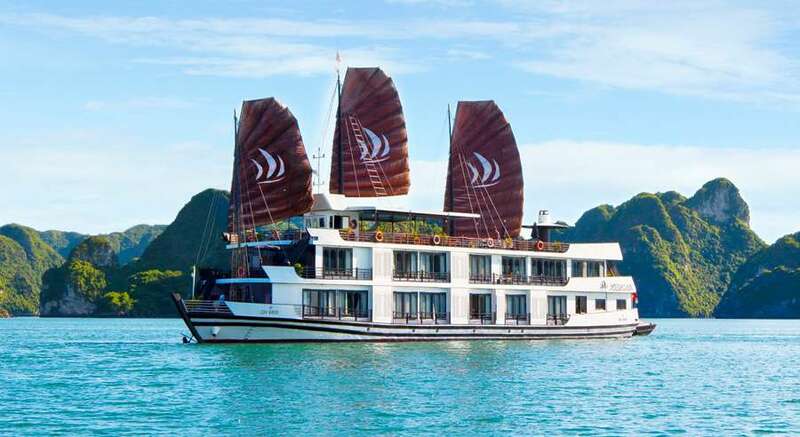 Each cruise has 22 cabins and can accommodate up to 45 passengers. 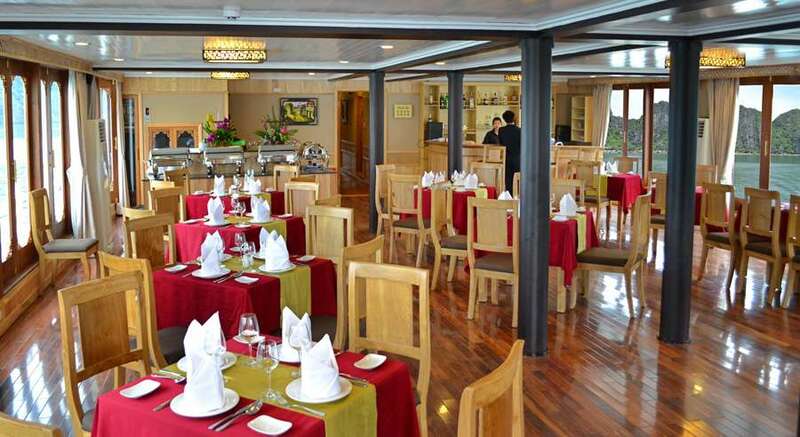 Pelican Cruise always pays a great attention to the safety and comfort of its passengers. 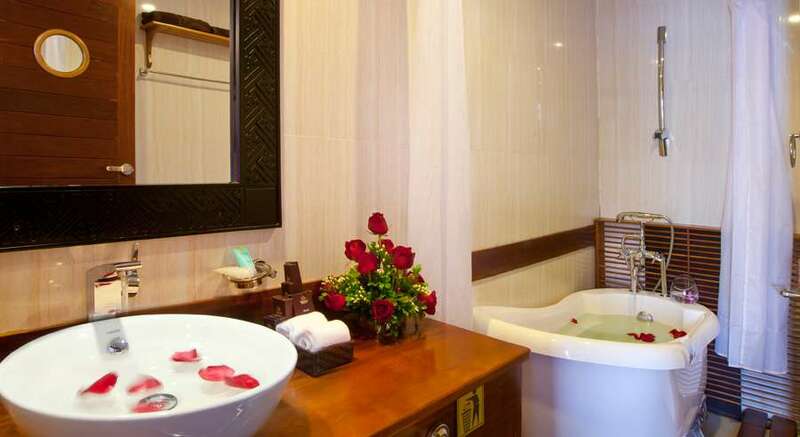 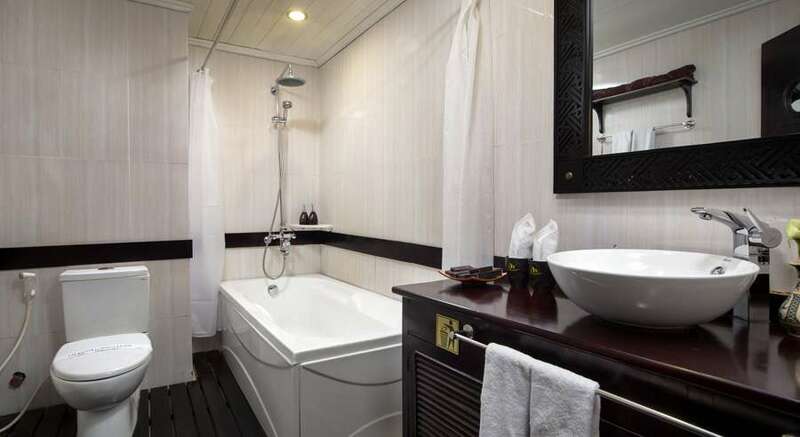 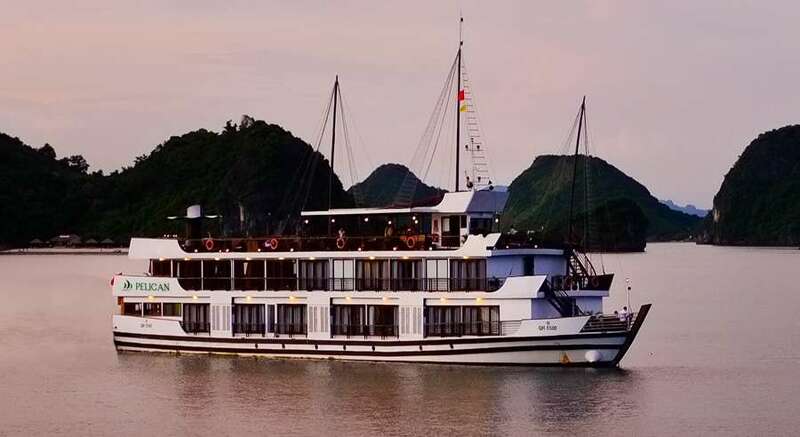 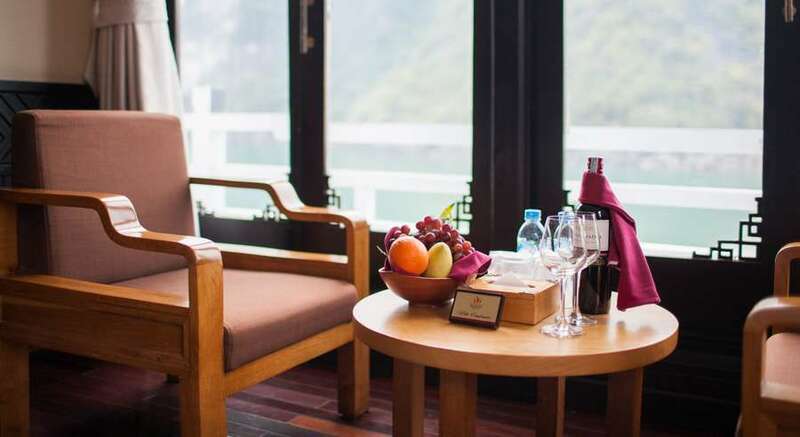 In fact, it boasts the most advanced facilities and technical equipment in Halong Bay, with sonar, radar, and alarm services. 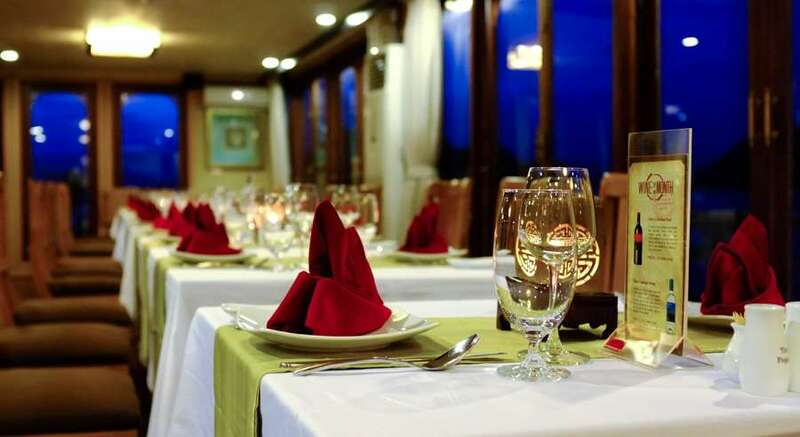 On-board services are also on the same par of excellence. 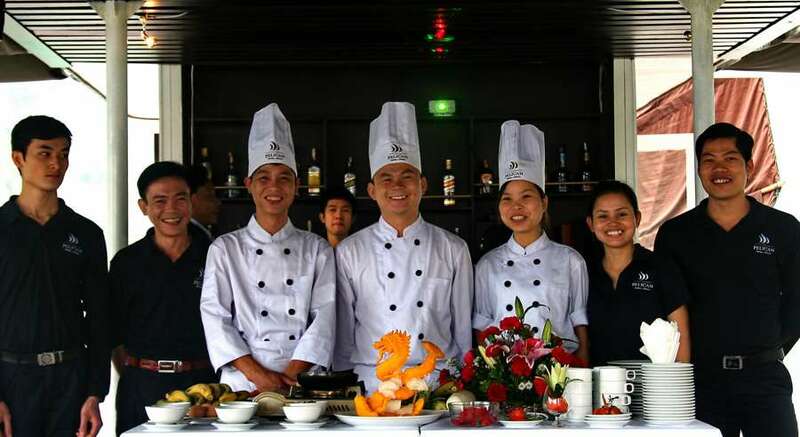 Pelican crew is well-trained, professional, and enthusiastic. 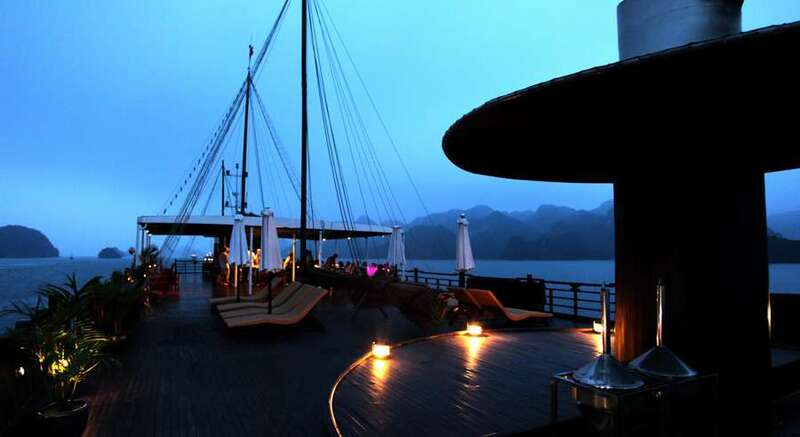 Staffs respect their job, respect their college, and foremost respect their customers. 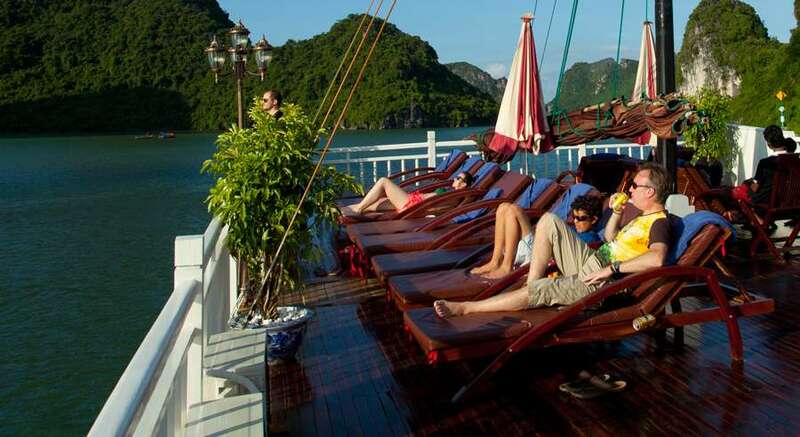 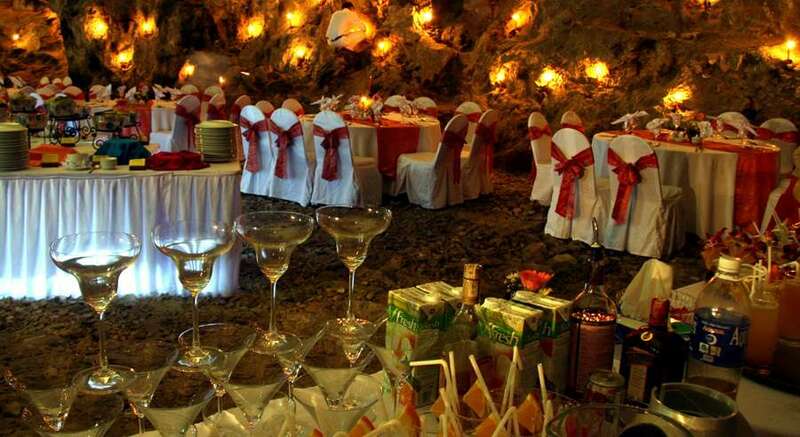 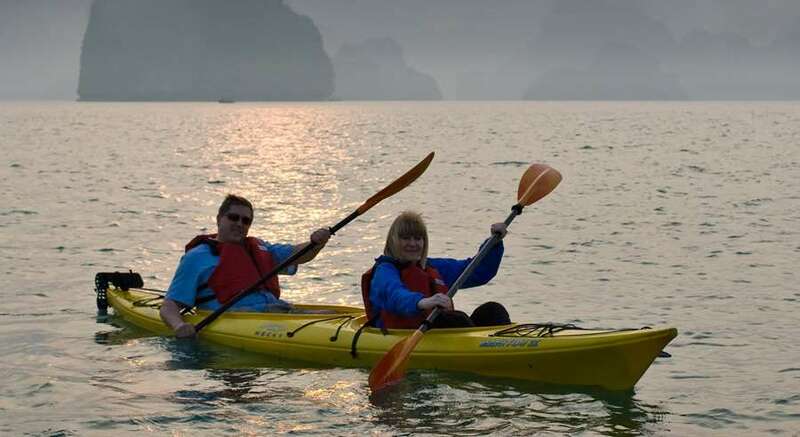 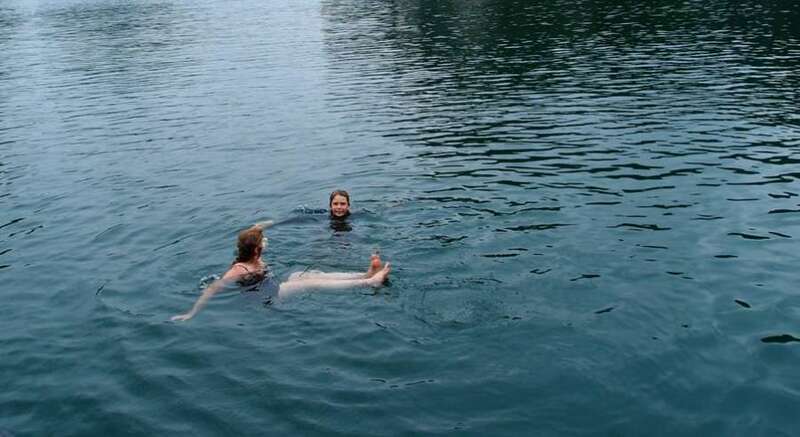 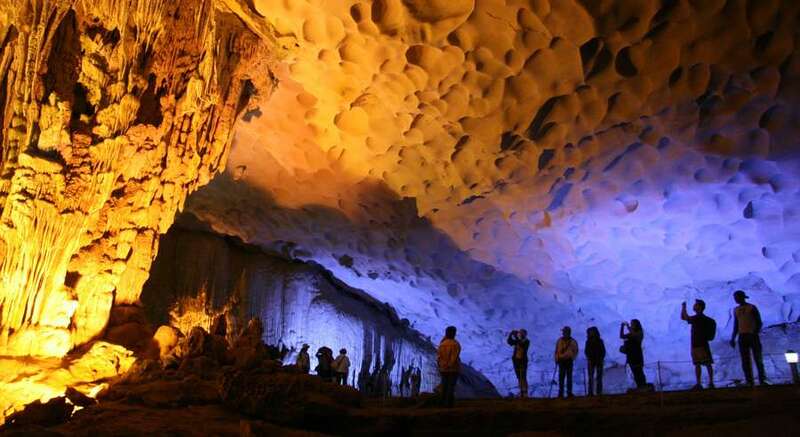 They are always happy to meet their guests and show the best of Halong Bay. 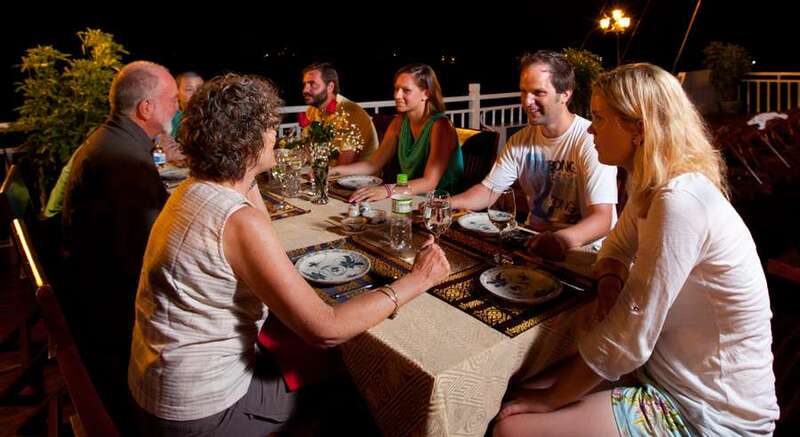 A trip with Pelican will not only exceed your expectation but also makes a pleasant lifetime memory for your whole family/group. 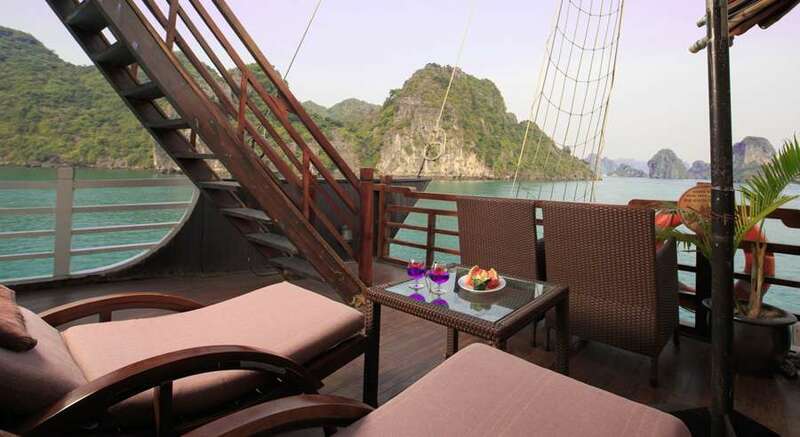 For your relaxation and convenience, Pelican Luxury Private Charter Cruise has the following facilities and activities on board.